The big topic for sales people is to sell. The second is to sell more. There is no big change in the attitude for the last 100 years – but a bit, how you sell and to whom. If you watch this litte video with Michael from Celemi you get an idea that it is not only the tool and its benefits – but also the impact this has on the operation. And if the operation changes, the impact of this might be less cost of goods – which will have an impact on finance. So you should know about this and use it as a chain of arguments. 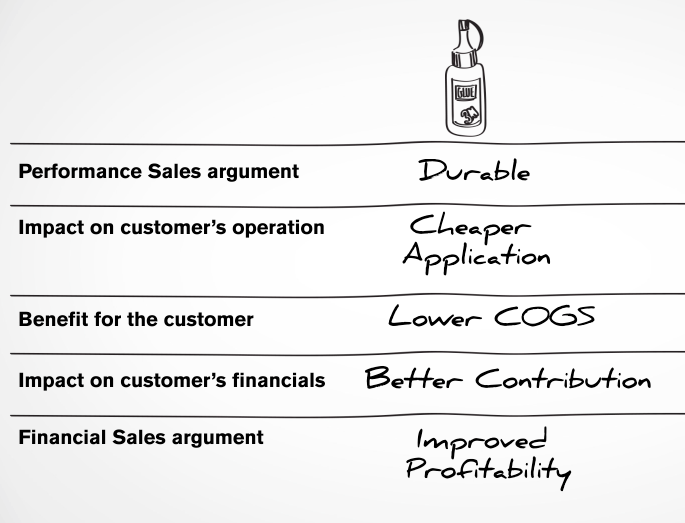 There is more to know about how to sell – see the video and get an idea of impacts your product might have at your customers finance. I was interviewed yesterday by a lady from the University who is studying the impact of learning tools. She wanted to know what is the difference from a simulation, or as she called it serious game – to the classical class room teaching. From my experience it is all about understanding the different concepts in practice, see the impact it has and the result it creates. It is all about watching it, when it happens. It is all about emotions of excitement, when your strategy works out. That is why people like Monopoly so much – it is control over the complexity of the game. And it is more and more important to act in complex systems that are difficult to forecast. It is less planning, but observing and acting quickly. It is about trying out in a small environment and than go live.